The Panamera Sport Turismo concept car with the next generation hybrid drive was shown in Paris with its 416 horsepower of peak system power. It's designed to be driven in pure electric mode up to a speed of 80 mph and can cover distances of over 18.6 miles which doesn't seem too impressive. The new electric motor produces about 70 kW (95 hp), which is around twice as much as in today’s Porsche hybrid drive and coupled with a 333 horsepower 3.0 liter V6 supercharged engine together accelerating the concept car from zero to 62 mph in less than six seconds. As a plug-in hybrid, the fluid-cooled lithium-ion battery is not only charged while driving but also externally as fast as 2.5 hours (depending on the power supply) via a charging interface on the vehicle. The all-new Chevrolet Trax all-wheel drive small SUV, based on the Spark mini-car, made its debut at the 2012 Paris Auto Show and will go on sales next Spring with three power offerings: a 140 horsepower 1.4 liter turbocharged gas engine mated to a six-speed manual transmission, a 1.6 liter gas engine as well as a 130 horsepower 1.7 liter turbo-diesel engine. The AWD system is available on variants that come with the 1.4 liter turbo gas or the 1.7 liter diesel engines which come with with manual transmissions and Start/Stop functionality. There are a total of eight seating combinations and up-scale trims will come standard with Chevrolet MyLink, an infotainment system that aggregates content from smartphones onto a seven-inch, high resolution, full color touch-screen display. A dedicated navigation app which can be downloaded onto compatible smartphones will become available early next year enabling the route to be taken from the smartphone and projected onto the system's touch-screen. The 2013 Honda Insight Hybrid, unchanged from 2012 in price and features with its base, LX and EX models, has a city/highway/combined EPA fuel economy rating of 41/44/42 mpg, starts at $19,290 (including the $790 destination charge) and went on sale today. A Honda Integrated Motor Assist™ system comprised of a 1.3-liter i‑VTEC® gasoline 4-cylinder engine and a 10-kilowatt electric motor combines to develop 98 horsepower. Honda, which gave the Insight a facelift for the 2012 model, has only sold 4,801 Insights through August a 63.4 percent decline from the 13,106 sold through the first eight months of 2011. A lot of car and great fuel economy for the price. The McLaren P1 - you will see it Sept. 27th and be able to buy within 12 months. When P1 goes into production later next year, it will sit above the 12C and 12C Spider, in terms of both price and performance. Which means the P1 price tag will be more than $270,000. More info to come at the Paris Auto Show Sept. 27th. 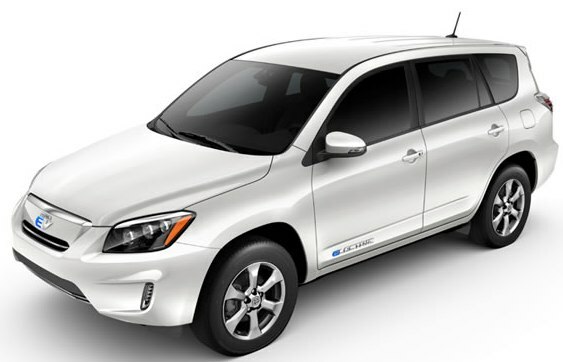 The all-new, all-electric 2012 RAV4 EV will go on sale the week of September 24 through select California dealers, focusing on major metropolitan markets with an EPA rated range of 103 miles, 78 city miles per gallon equivalent (MPGe), 74 highway MPGe and 76 combined MPGe. With a manufacturer's suggested retail price of $49,800, RAV4 EV customers will have the option of a purchase or lease program. Special purchase financing of 1.9% APR is available for qualified customers, as well as a 36 month lease option at $599 per month with $3,499 drive off. Sales volume is planned for approximately 2,600 units through 2014. Interested customers can visit http://www.toyota.com/rav4ev/ to sign up for additional information and be connected with an authorized dealer. The all-new 2013 Honda Accord Sedan will debut at U.S. dealers nationwide on September 19, with a manufacturer's suggested retail price (MSRP) ranging from $22,470 (including destination and handling charge) for the well-equipped Accord LX to $34,220 for the Accord Touring model (including destination and handling charge of $790 per vehicle). The Accord Coupe will go on sale October 15 with a manufacturer's suggested retail price (MSRP) starting at $24,140 (including destination and handling charge) for the sporty LX-S model. 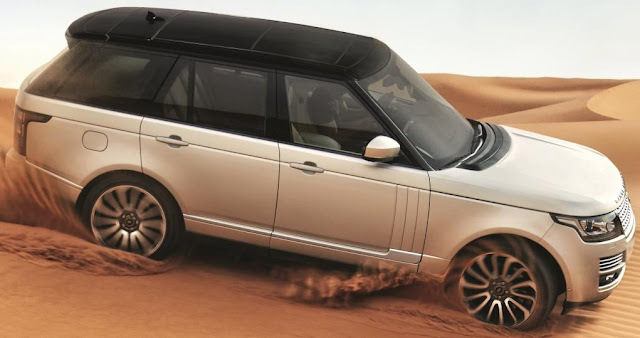 Breaking News: The all new 2013 Land Rover Range Rover SUV will have a MSRP starting price of $83,500 including destination charges and will go up to $130,950 for the Autobiography when they arrive in North American showrooms this winter. The All-New Land Rover Range Rover, the fourth generation following the spirit of the original design from over 40 years ago, has been developed from the ground with a lightweight all-aluminium monocoque body structure which is 39 per cent lighter than the steel body in the outgoing model thus producing a 22 per cent reduction in fuel consumption achieving of 37.7mpg, according to the news release. The weight saving helps the 510PS LR-V8 Supercharged model to accelerate from 0 - 60mph in just 5.1 seconds, a reduction of 0.8 seconds over the outgoing model while at the same time cutting fuel consumption by 9 per cent. Announced in London for the UK, customers have a choice of a 510PS LR-V8 Supercharged gas-powered engine and two diesel engines - a 3.0-litre 258PS TDV6 and a 4.4-litre 339PS SDV8, all paired with an eight-speed automatic transmission. Land Rover announced plans for a hybrid Range Rover, a diesel hybrid model, which is planned for production late in 2013. Order books for the All-New Range Rover are now officially open with prices in the UK starting at £71,295 ($114,183) for a Vogue TdV6, rising to £98,395 ($157,585) for a the Supercharged Autobiography model. The All-New Range Rover is designed, engineered and manufactured in the UK and will be exported to over 170 global markets. Over £370million ($592M) has been invested in the Solihull manufacturing plant. The all-new 2013 Honda Accord Sedan goes on sale September 19th with the Coupe to follow on October 15th. Completely redesigned for 2013, the Honda Accord will have a new 185-horsepower 2.4-liter 4-cylinder engine with Honda's first use of direct injection in North America coupled to a choice of a new continuously variable transmission (CVT), or a 6-speed manual transmission on selected models and a 278-horsepower 3.5-liter V-6 engine mated to a 6-speed automatic or, in the V-6 Coupe, a 6-speed manual transmission with revised VTEC + VCM functions. The 4-cylinder models earn up to an EPA 36 mpg highway rating and the V-6 models up to an EPA 34 mpg highway rating. Standard Econ button with Eco Assist™. All-new Smart Entry & Push Button Start included on Accord EX, EX-L and Touring models. Forward Collision Warning on the EX-L and Touring Sedan and EX-L Coupe models alert the driver when a potential collision with another vehicle ahead is detected. Lane Departure Warning on the Accord EX-L and Touring models alerts the driver when lane drift is detected without a turn signal in use. New SmartVent™ side airbags mitigate the risk of excessive airbag deployment force. LED projector headlights on the Accord Touring Sedan offers improved visibility with LED daytime running lights on V-6 powered models with LED brake lights on all EX-L and Touring models. Adaptive Cruise Control, exclusive to the Touring Sedan, allows the driver to set a desired speed and a distance interval behind the vehicle ahead. HondaLink™ connected-car system is available allowing owners to put their smartphones away and still stay connected to their favorite digital content. Audio with touchscreen display and the Honda Satellite-Linked Navigation System™ with Voice Recognition and FM Traffic is also available. Early next year in the sedan only, the 2014 Honda Accord Plug-In Hybrid will debut Honda's new 2.0-liter 4-cylinder two-motor plug-in hybrid system operating continuously through three modes, all-electric, gasoline-electric and direct-drive, to maximize fuel efficiency. 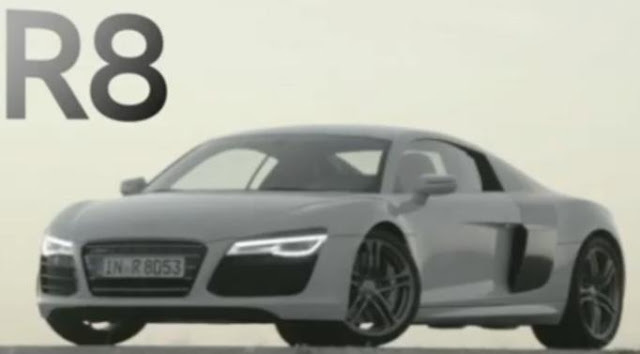 The 2013 Audi R8 with a new double clutch transmission on a 463 pound ASF (Aluminum Audi Space Frame) goes from 0 - 62 mph in 3.6 seconds. General Motors reported August sales of 240,520 vehicles in the United States, up 10 percent compared with a year ago. GM increased its sales to retail customers by 11 percent, making August its best retail month of the year. Sales to fleet customers were up 6 percent compared with a year ago. General Motors year-to-date sales of 1,757,470 through August is a 3.7 percent rise over last year. Ford Motor Company had August sales of 197,249, up 12.6 percent over 2011 and 19 percent for retail sales. Year-to-date sales of 1,514,838 is a 6 percent gain over 2011. Toyota Motor Sales, U.S.A. reported August 2012 sales results of 188,520, an increase of 45.6 percent from the year-ago month. The Toyota Division posted total August sales of 164,283, an increase of 47.5 percent from the year-ago month. The Lexus Division reported total sales of 24,237 in August, up 33.9 percent compared to the same period last year. Year-to-date sales are 1,399,514, a 30.4 percent improvement over 2011. Chrysler Group reported U.S. sales of 148,472, a 14 percent increase compared with sales in August 2011, and the group’s best August sales since 2007. Year-to-date Chrysler sales of 1,108,629 is a 26 percent gain over the same eight months of 2011. American Honda reported August 2012 U.S. sales of 131,321, an increase of 59.5 percent compared with August 2011. The Honda Division posted August 2012 sales of 115,675, an increase of 57.9 percent compared with August 2011. Acura's U.S. August sales of 15,646 increased 72.8 percent compared with August 2011. Year-to-date sales for both brands are 949,247, a 23.2 percent gain over 2011. Nissan North America reported August U.S. sales of 98,515, up 7.6 percent. Nissan Division sales increased 5.9 percent for the month at 87,360. Sales of 11,155 Infiniti vehicles is up 23.6 percent over the prior year. Year-to-date sales of 774,577, is a 13.7 percent increase over 2011. Hyundai Motor America announced an all-time August sales record of 61,099, a 4 percent increase compared with the same period a year ago and the best August sales level in company history, topping the Cash for Clunkers mark set in 2009. Year-to-date sales are 479,789, an 8.8 percent gain over 2011. Kia Motors America recorded it's 24th consecutive monthly record with sales of 50,028, up 21.5 percent over 2011. Year-to-date Kia sales of 386,809 is a 16.6 percent gain over the first eight months of 2011. Subaru of America reported sales of 28,293 vehicles for the month of August, a 35.8 percent increase over 2011. Year-to-date sales of 217,780 is a 24.7 percent increase over prior year. The BMW Group in the U.S. (BMW and MINI combined) reported August sales of 22,553 vehicles, a decrease of 5.7 percent from the 23,924 vehicles sold in the same month a year ago. Year-to-date, BMW Group is up 7.6 percent on sales of 208,268 in the first eight months of 2012 compared to 193,565 in the same period in 2011. Mercedes-Benz USA reported August sales of 20,557, up 11.3 percent from August of last year for its Mercedes-Benz models, delivering a record year-to-date total of 168,462 new vehicles, up 13.5 percent over 2011. Volkswagen of America reported sales of 41,011 in August, a 62.5 percent increase over prior year sales for the best August since 1973. Year-to-date sales of 286,750 is a 37.6 percent increase over 2011. Separately, Audi reported record-setting August sales of 11,527 new vehicles representing a 13 percent increase above the previous record set in August of last year. Year-to-date Audi has sold 88,392 vehicles, a 17.5 percent increase over the first 8 months of 2011. Mazda North American Operations reported August U.S. sales of 22,234 vehicles, a decrease of 1.8 percent versus last year. Year-to-date sales of 185,349 through August is up 11.8 percent versus last year. Porsche Cars North America announced August 2012 sales of 3,026 vehicles, an increase of 39 percent. For the year, Porsche has sold 22,279 cars in the U.S., a 9 percent increase over last year. Mitsubishi Motors North America reported August 2012 sales of 4,249, down 46.8 percent compared to August 2011. American Suzuki reported August 2012 sales of 1,968. The new Porsche 911 Carrera 4, the seventh-generation of the 911 Carrera with the latest active all-wheel-drive system PTM (Porsche Traction Management), is being launched in four versions – the 911 Carrera 4 and 911 Carrera 4S (above), each as Coupe and Cabriolet. The new 911 Carrera 4 is up to 143 lbs. lighter compared to the previous generation 911 Carrera C4 with as much as 16 per cent in fuel savings. The Coupe and Cabriolet of the 911 Carrera 4 S each have a 400 horsepower 3.8-liter rear-mounted boxer engine with acceleration to 60 mph in 3.9 seconds (Cabriolet: 4.1 seconds) and a top-track speed of 185 mph (Cabriolet: 183 mph) with a suitable equipment configuration. Fuel consumption values with PDK are EPA estimated at 19 mpg city and 26 mpg highway for both the Coupe and the Cabriolet. The 911 Carrera 4 Coupe (below) has a 350 horsepower 3.4-liter, flat-six engine can sprint from zero to 60 mph in as little as 4.3 seconds (Cabriolet: 4.5 s) and reach a top-track speed of up to 177 mph (Cabriolet: 175 mph), depending on equipment features. Fuel consumption with PDK is EPA estimated at 20 mpg city / 28 mpg highway for the Coupe and EPA rated 20 mpg city / 27 mpg highway for the Cabriolet. All new models have a seven-speed manual gearbox as standard, and the Porsche Doppelkupplung (PDK) seven-speed gearbox is available as an option. 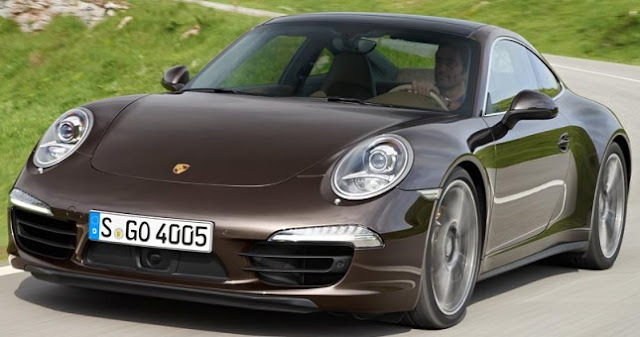 The new Porsche 911 Carrera with all-wheel-drive will make its first public appearance at the Paris International Motor Show on September 29, 2012. 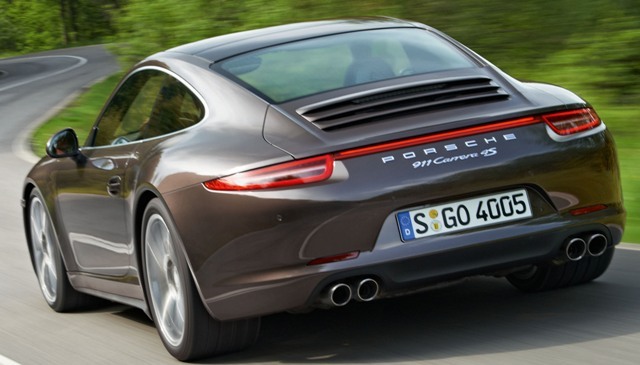 The new 911 models will launch in the US early in 2013. The 2013 911 Carrera 4 will have a base MSRP of $91,030, and the 911 Carrera 4 Cabriolet base MSRP will be $102,930. The 911 Carrera 4S will have a base MSRP of $105,630 and the Cabriolet will have a base MSRP of $117,530. The all-new 2014 Mazda6 with the full suite of SKYACTIV® technologies will launch in Europe this year and go on sale in the U.S. and Canada in early 2013 with an added slew of all-new safety features and fuel efficiency-improving technologies. Under the hood of the Russian-specification Mazda6 is a 134 horsepower SKYACTIV-G 2.0-liter gasoline engine that can be paired with either the SKYACTIV-MT six-speed manual transmission or SKYACTIV-Drive six-speed automatic transmission. A 189 horsepower SKYACTIV-G 2.5-liter gasoline engine also will be available in the Russian market. Similar to TAKERI concept, the Mazda6 features a new front fascia with a five-point "signature wing" on a 111-inch long wheelbase, allowing for a roomier interior and ample storage space. 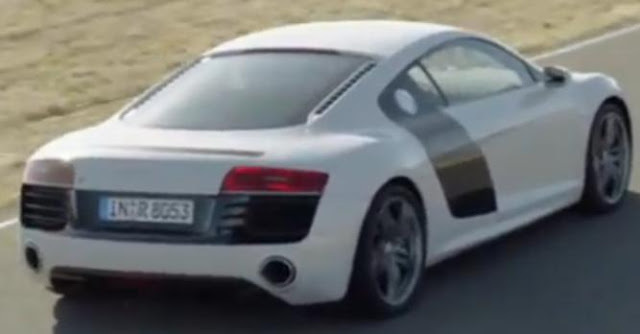 Compared to the previous generation, the front wheels have been pushed forward nearly four inches in relation to the A-pillar, resulting in reduced overhang while the rear deck has been shortened, further enhancing the vehicle's lower, leaner and longer stance. Final specifications for other global markets, including the U.S. and Canada, will be disclosed at a later date. The all-new 2013 Nissan Sentra, built on a new platform, is 150 pounds lighter than the outgoing model, on a 0.6-inch longer wheelbase (106.3 inches) and a 2.3-inch longer overall length (182.1 inches) offering more interior room. The new Sentra has a more fuel-efficient 130 horsepower DOHC 4-cylinder 1.8-liter engine that's matched with a new-generation Xtronic CVT® that helps deliver a 13 percent improvement in EPA combined fuel economy of 34 mpg combined (City and Highway). The 2013 Nissan Sentra is offered in a selection of well-equipped S, FE+ S, SV, FE+ SV, SR and SL trim levels. All models come with standard Xtronic CVT®, except the base Sentra S that is available with a choice of 6-speed manual or CVT. 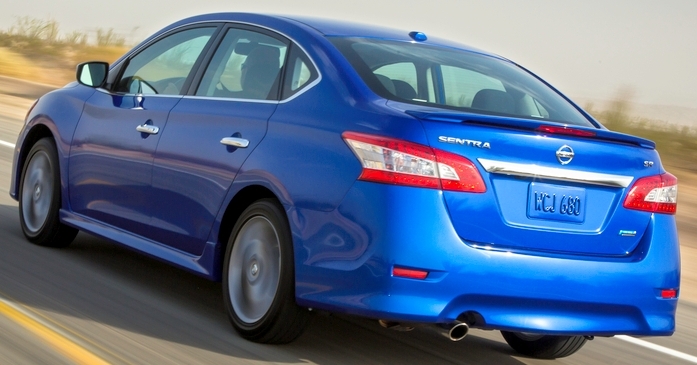 The all-new 2013 Nissan Sentra goes on sale at Nissan dealers nationwide this Fall.